When people plan a beach vacation, countries like Greece, Brazil and Australia often come to mind. 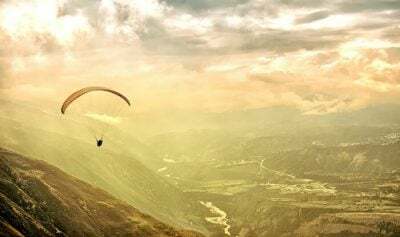 But if you’re looking for a ridiculously affordable getaway and an opportunity to experience some remarkable cultural diversity, India should top your list. Most of these beaches are fairly relaxed and quiet, which makes them suitable for families and those who want to get away from human civilization. 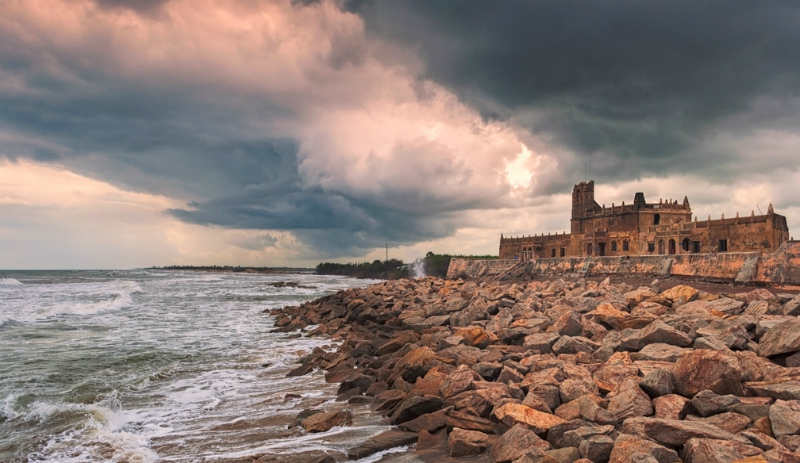 With that in mind, here is a look at 9 beautiful beaches in India that you should visit. 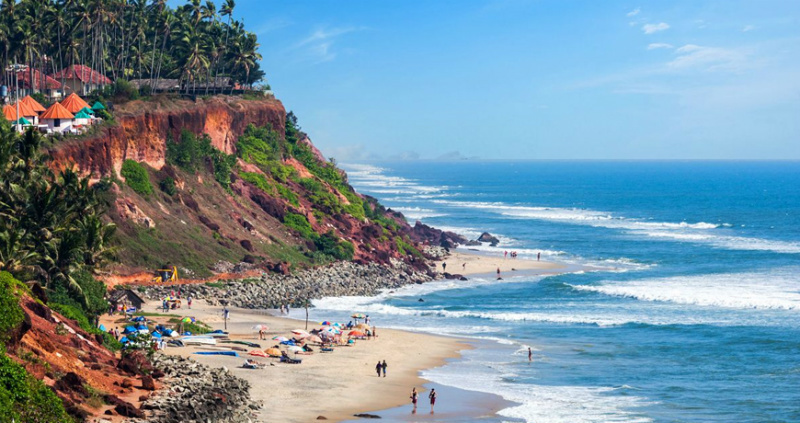 If you want to get away from the crowds, scenic Varkala Beach, located roughly an hour north of Trivandrum, the capital of the state of Kerala, is the place to be. If the view from the beach isn’t enough for you, the hanging cliffs that overlook the beach offer views above the Arabian Sea. Aside from rejuvenating your body and soul through yoga, you can also give Ayurveda – the world’s oldest holiest medicine – a try! 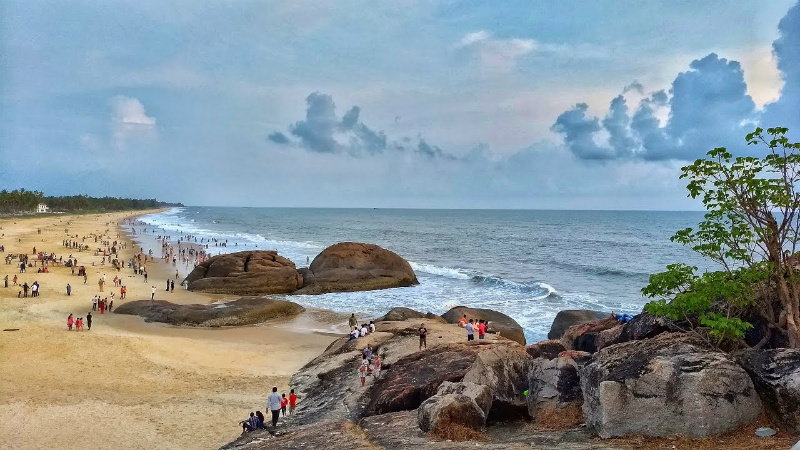 You can find Kaup – or Kapu as the locals call it – near the town of Udupi in the state of Karnataka. Aside from swimming in the Arabian Sea, you can also take a dip in the nearby Netravati River, regarded as one of the holiest in all of India. Make your way to the nearby 100-year old lighthouse and take in a view of the sunset. Or if you’re the antsy type who can’t stay in one place, a day trip to Coconut Island and Thonsepar – known for their unique lava formations – should do the trick. 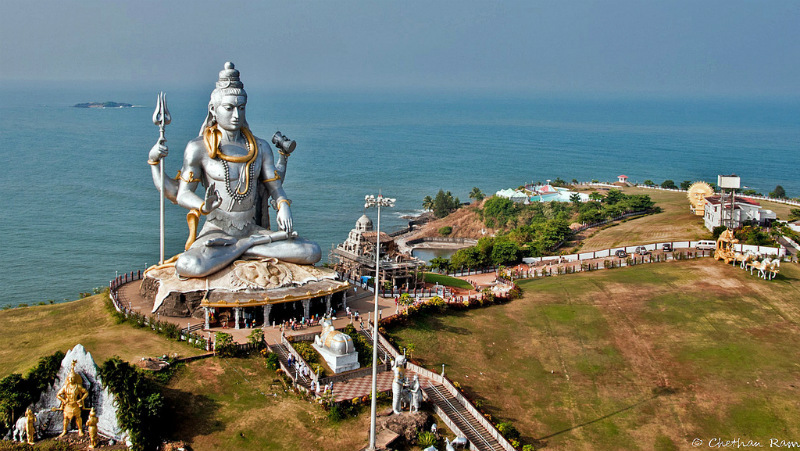 Gokarna, a holy town also located in the state of Karnataka, is home to some of the most isolated and cleanest beaches in the entire country. It also welcomes an extremely eclectic mix of visitors ranging from devoutly religious pilgrims to party animals looking to booze it up. Check out the huge chariots outside the Ganapati Temple, which is used to haul a statue of Shiva – pulled by a hundred locals! – through the streets during the Maha Shivaratri Festival, which takes place just before springtime. This area is sort of like how Goa used to be before it became super touristy. 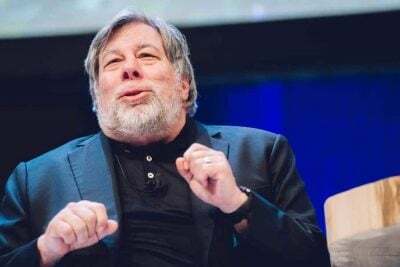 But get here before it’s too late; developers are starting to realize the gobs of money that they can potentially make. 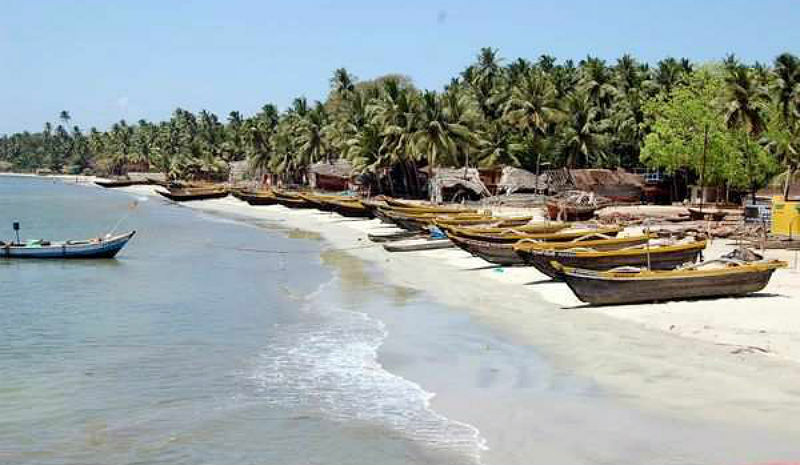 Tarkarli beach in the state of Maharashtra is patiently waiting for your arrival. With all that India has to offer, few tourists come here, which means more sand for you, right? Tharangambadi is quite a mouthful! But when you realize what this Tamil expression translates into in English – “The Land of the Singing Waves” it makes perfect sense. Located along the coastline of the Bay of Bengal, this area was once under the control of Denmark. As a result, when you visit the town you’ll find it full of old churches, museums and other architectural relics that serve as a reminder of its unique Danish past. Another beach located in the state of Kerala, this is a perfect place if you’re looking for shallow waters and lush garden displays. The beach is pretty lengthy, which means you won’t have any difficulty finding a private spot for yourself. 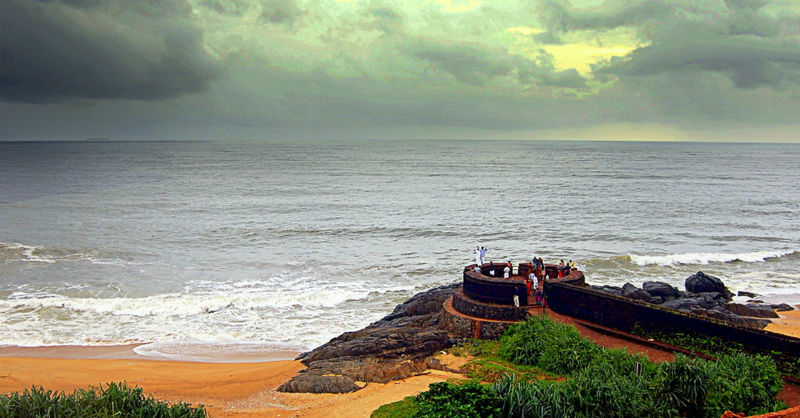 The nearly 400 year-old Bekal Fort, which resembles a large keyhole and is spread out over 40 acres, is also worth a visit. Yet another beach located in the state of Maharashtra, this is where the surf enthusiasts go. If you have Mumbai on your travel plans, Kashid Beach is a relatively close (by Indian standards anyway) three-hour drive. 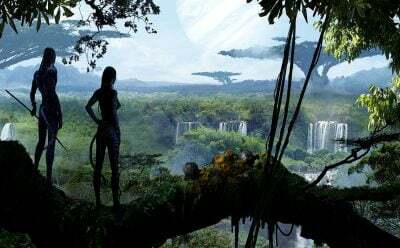 You also have the option of going there by helicopter and, if you have an active imagination, convince yourself that you’re actually heading to Jurassic Park. 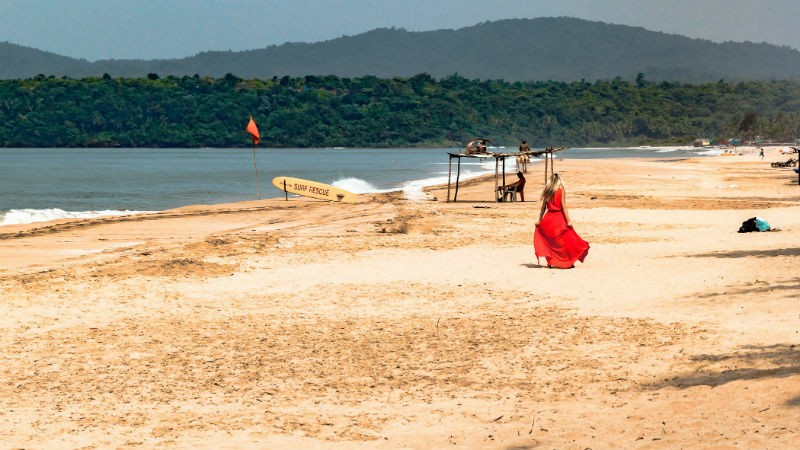 While Goa is often thought of as an overcrowded tourist destination, there are plenty of places where you can still find peace and tranquility away from everybody else. You can even find accommodations right there in the beach in the form of a humble hut. 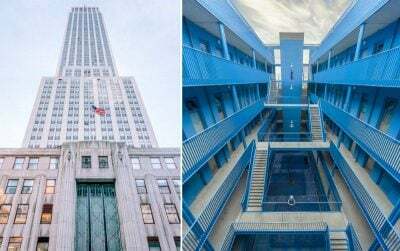 You won’t find any nightclubs here, but if you’re okay with eating, sleeping, drinking and swimming (and who isn’t???) you’ll be alright. Okay, this list has primarily been dedicated to quiet beaches. So now comes the beach for those of you who really are looking to get a bit wild and crazy. 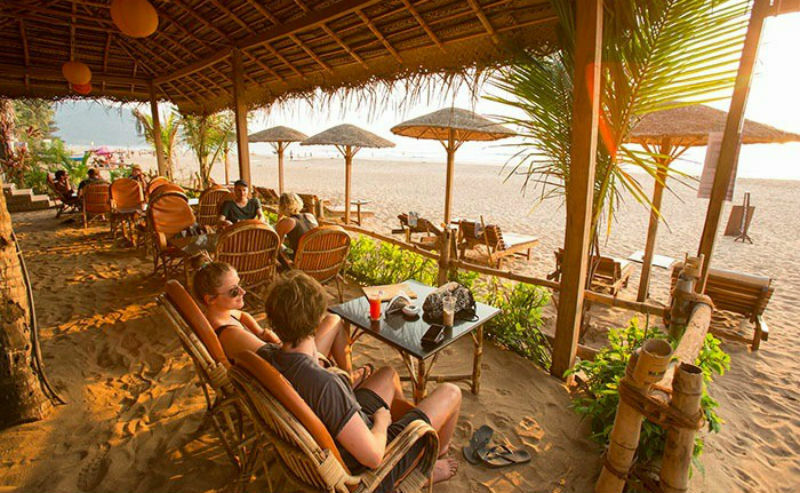 The beaches of Ashvem, Mandrem and Morjim is where you can get in touch with your inner-hipster. 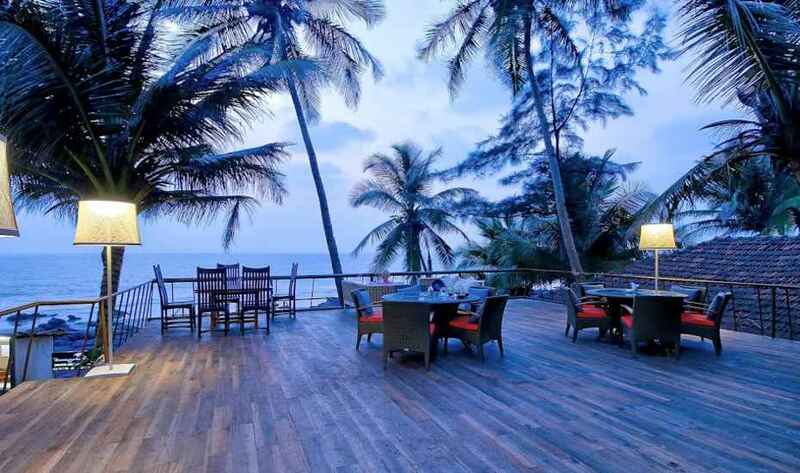 Located in northern Goa, the area is lined with fancy resorts, shops, beach huts, and trendy beach nightclubs to do shots till your heart’s content!